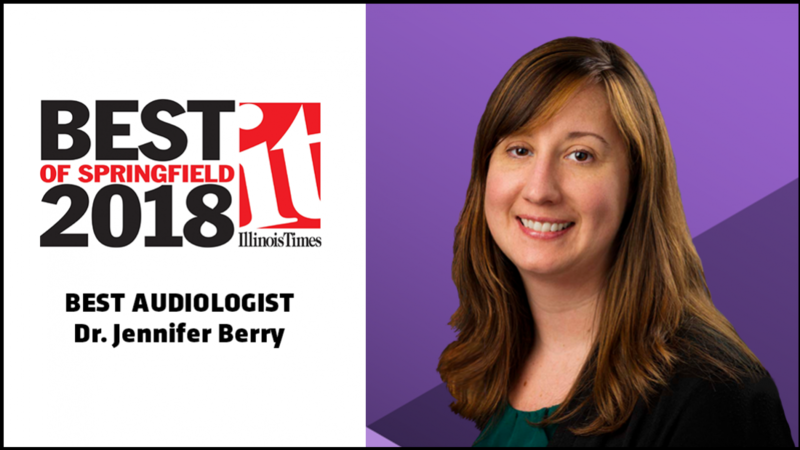 Home » Surgery » Audiologist Jennifer L. Berry Named "Best of Springfield"
Audiologist Jennifer L. Berry Named "Best of Springfield"
SIU Medicine audiologist Jennifer L. Berry, AuD, CCC-A, took the title "Best Audiologist" in the Illinois Times' 2018 Best of Springfield awards. Hundreds of readers took to the internet to cast their votes for their favorite restaurants, health care providers, dry cleaners and more in the annual contest. Berry specializes in treating hearing loss and tinnitus and provides cochlear implant services, hearing screenings and hearing aid services. She joined SIU Medicine's Department of Surgery after spending several years researching hearing loss and tinnitus. Berry sees patients at the Ear Nose & Throat Clinic, 720 N. Bond St., Springfield. To schedule an appointment with her, call 217-545-8000.